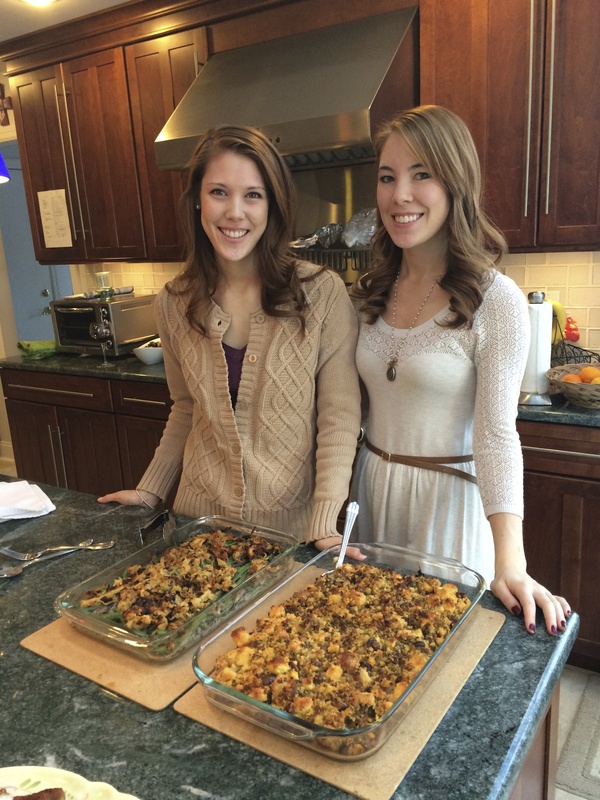 For our very special 100th Post, what could be more perfect than our Thanksgiving Post! 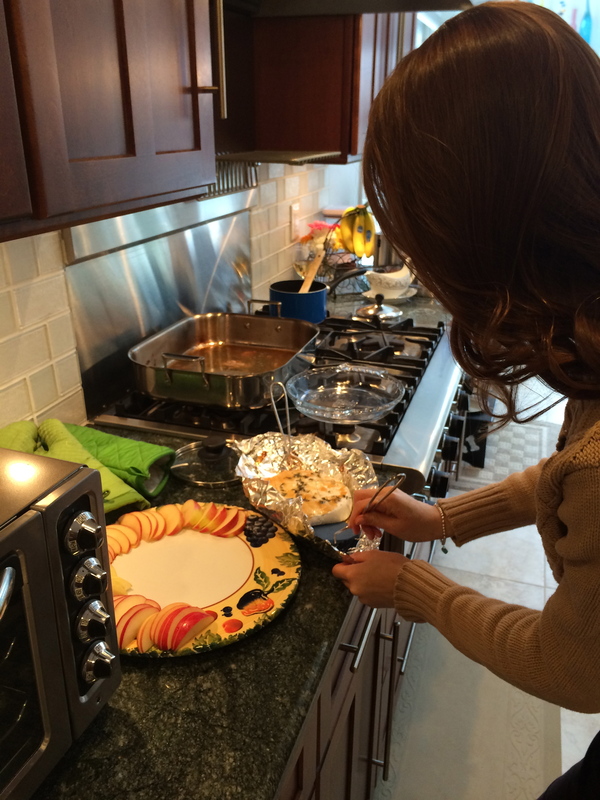 This year, we had a great time cooking together in preparation for the holiday feast. 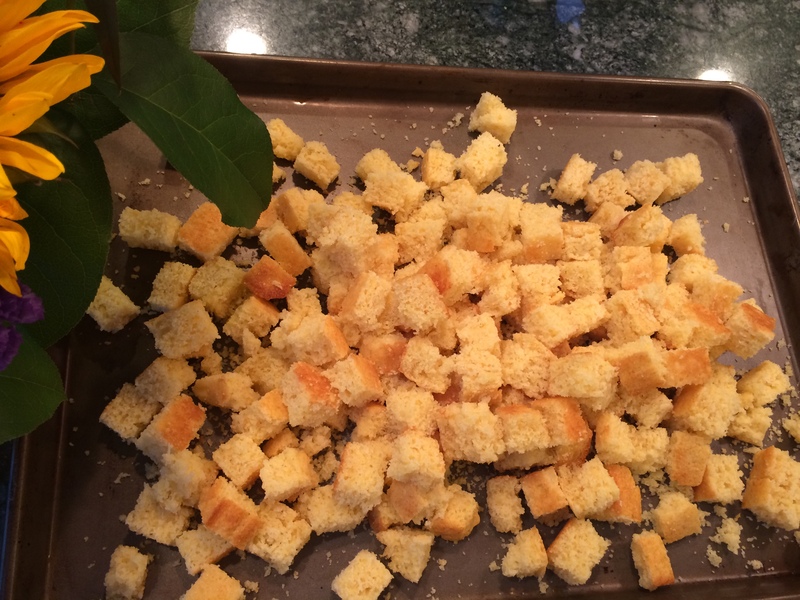 This year, we opted for a mixed cornbread-white bread stuffing that incorporated sausage and chestnuts. I think it’s fair to say that everyone was very pleased with the final result. 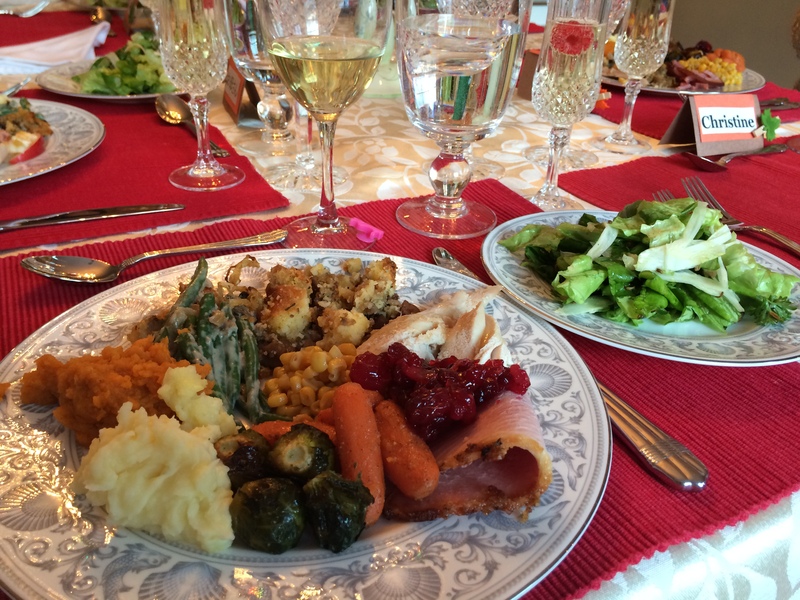 I especially loved that the fennel seed from the sausage came out into the stuffing mix, as fennel seed and fennel are some of my new favorite flavors. The turkey recipe we choose called for us to create a brine, meaning that the prep started on Wednesday and involved a big orange Home Depot bucket. As neither my mom nor my sister wanted anything to do with the bird (they hate the naked and “just plucked” look), I was in charge of removing the insides, plopping the turkey down in the brine, and flipping it 8 hours later. 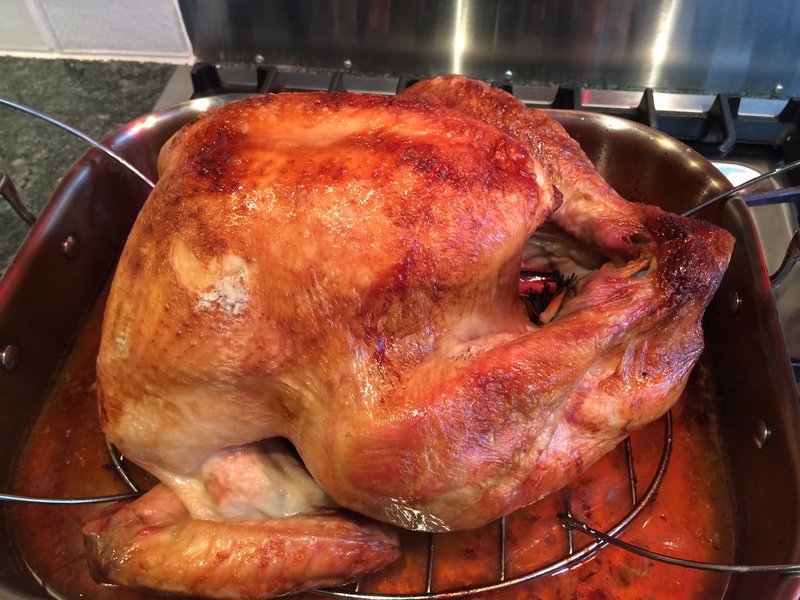 The overall final result was a well-cooked bird, however I’m not sure how much of an effect the brine actually had. 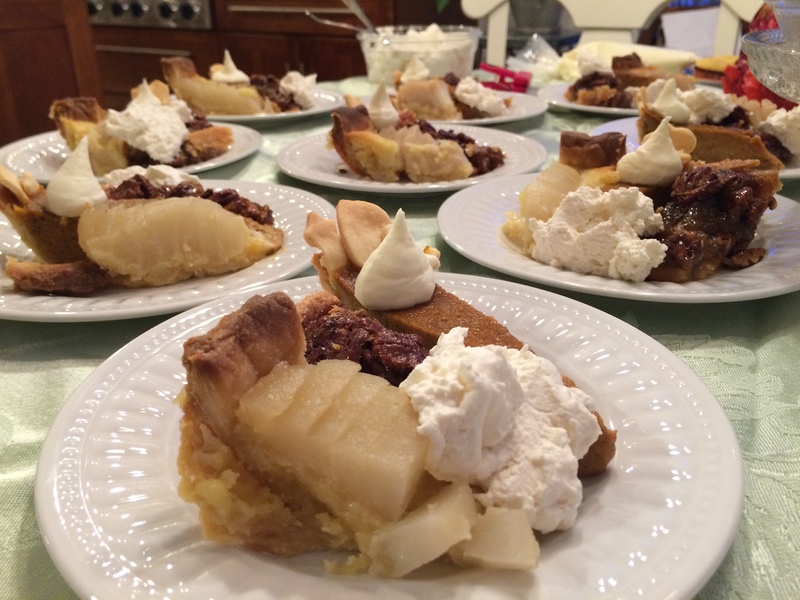 When Sara said that she wanted to do three desserts to feed eight people, I was a little bit skeptical. I know all too well how leftover desserts often turn into breakfasts and afternoon treats in our house, and my plan for indulging in Thanksgiving was not meant to last for an entire week. 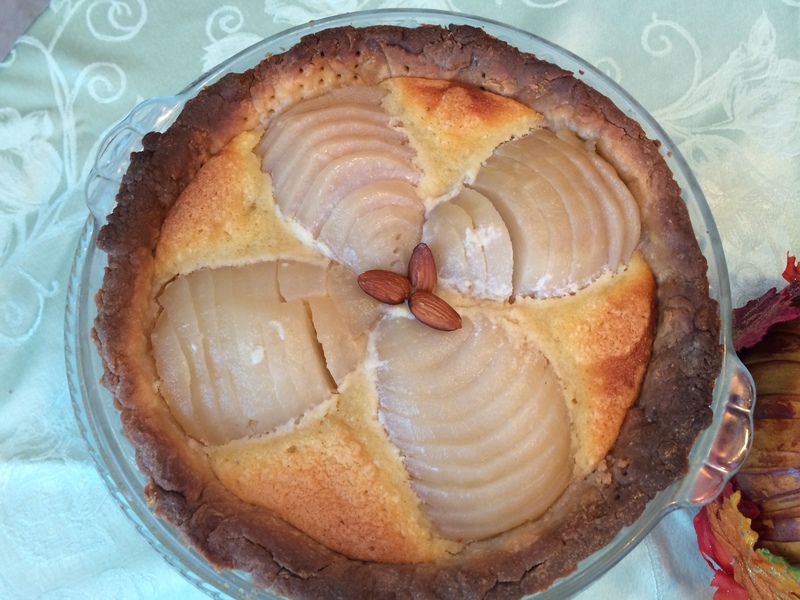 Nonetheless, this gave us the opportunity to make one of my favorite desserts, a pear almond tart. Since we didn’t have any really ripe pears on hand and were hesitant to used any canned fruit, we poached three large pears in a vanilla sugar water. 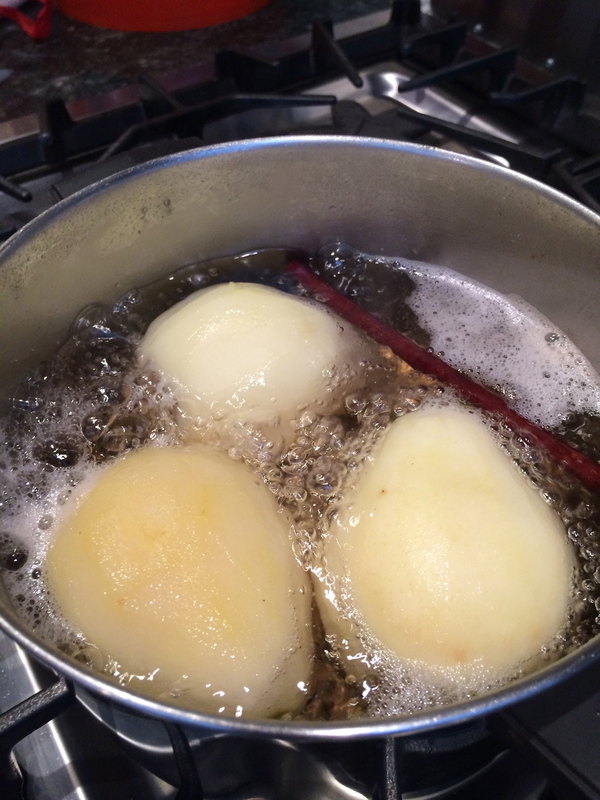 The added sugar helped to quickly “ripen” the pears and give them an additional spiced flavor. 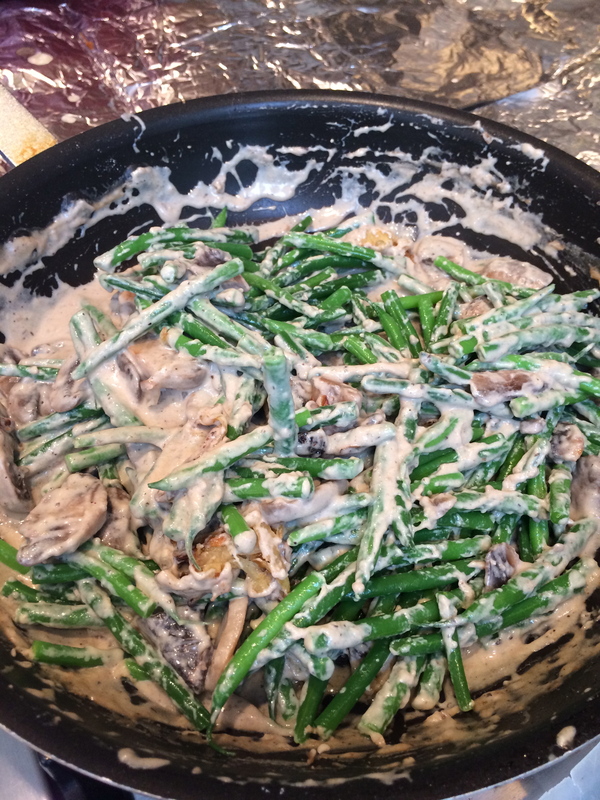 No traditional Campbell’s cream of mushroom green bean casserole for us this year. Instead we used another Alton Brown recipe which combined mushrooms, garlic, nutmeg, and half-and-half for the sauce, and fried onions made from scratch. Definitely never going back to the traditional version after this. 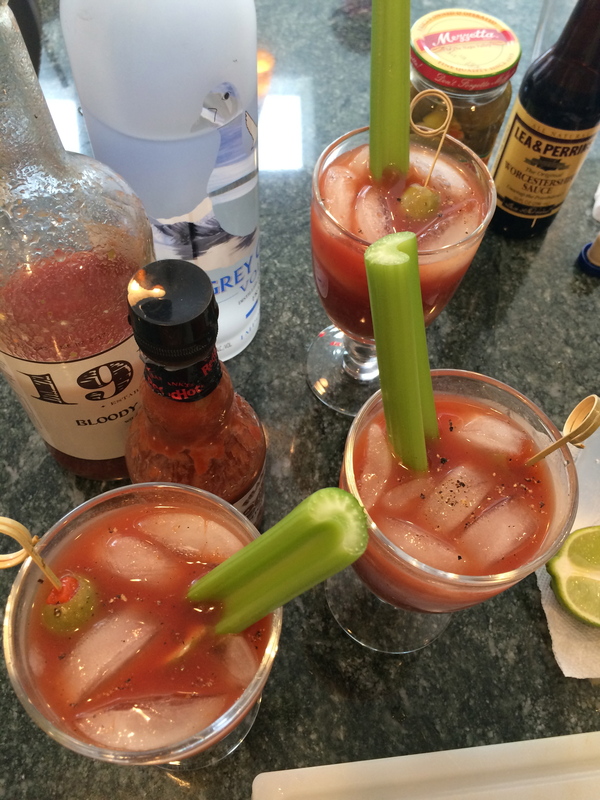 With a huge feast ahead of us, we opted for a light lunch of cheese, olives, celery, and, oh yes, Bloody Marys. 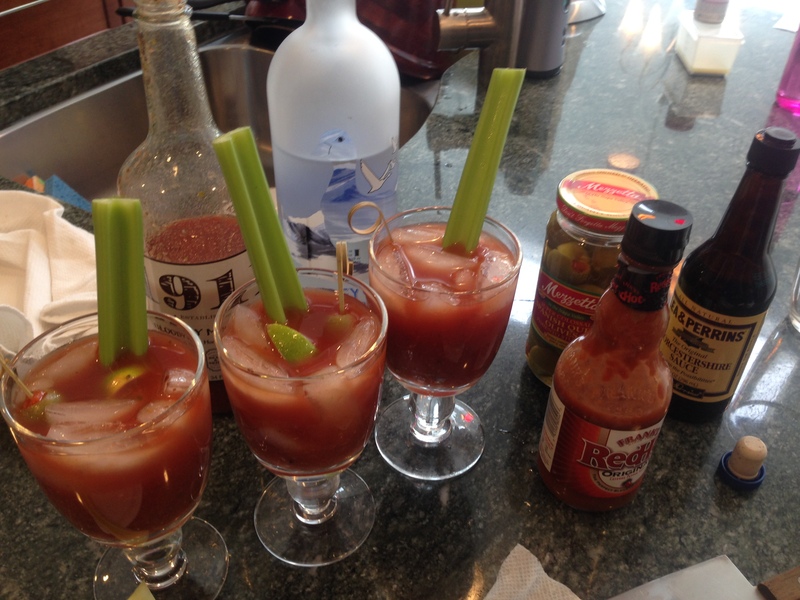 Sara had recently visited an orchard near Syracuse, NY where she picked up a bottle of this bloody mary mix. It’s a pretty good base, but then we added Worcestershire sauce, Frank’s hot sauce, Tabasco sauce, some lime juice, and freshly ground black pepper. 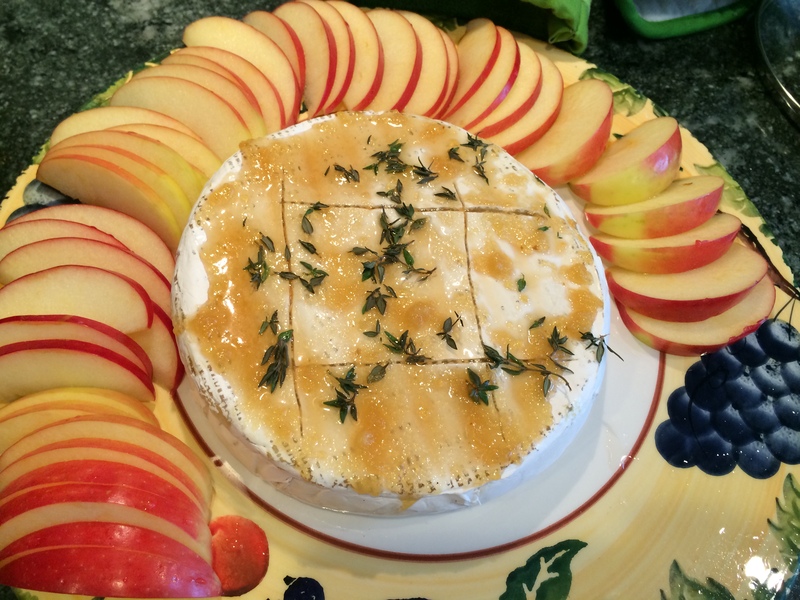 It was the perfect midday snack to keep us fueled and also to help Sara relax over the too-quickly-cooked-turkey issue. 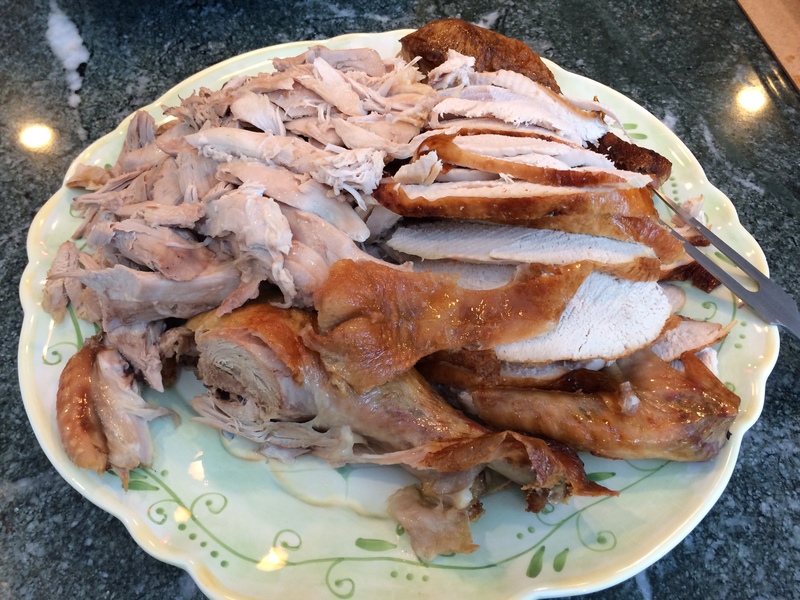 So speaking of the cooking too quickly issue, we anticipated that a 19 lb turkey would take around 5 hours to roast. As such, we put the bird in the oven at 9:30 at 500 degrees for 30 minutes. Then, at 10:00 we lowered the temperature to 350 to cool for what we thought would be another 3.5 hours, at least. Our recipe had instructed that a 14-16 lb turkey would take a total of 3 hours to cook, so we figured ours would have to take longer. HOWEVER, after 2 1/2 hours of roasting at 350, our thermometer probes told us that the turkey was done. I could not believe this, and so we tried re-inserting the probe and even tried using a different probe. All to our efforts, however, still seemed to point to the same result – our turkey was done waaaay earlier than we had anticipated. I was extremely nervous that we had in fact overcooked the turkey, but after letting the bird sit for half an hour, I cut a small piece to check and miraculously it seemed to be alright. 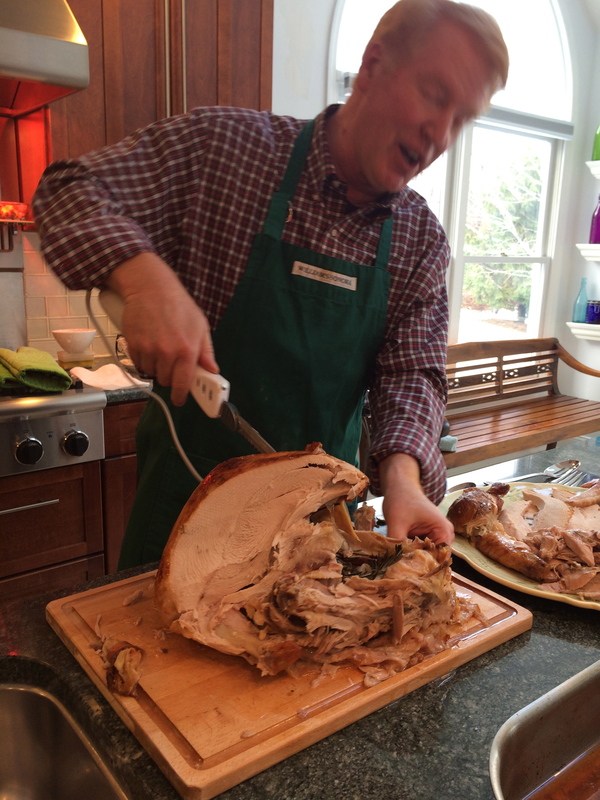 Dad’s job – carve the turkey. There wasn’t much left when he was finished. Thanks Christine for managing the cheese! 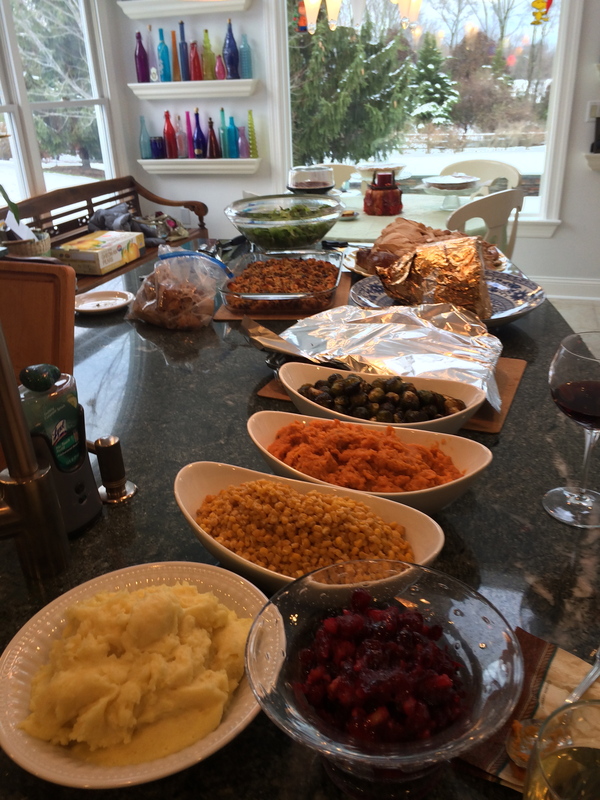 Here you can see almost all our side dishes from cranberry sauce (special thanks to our aunt who made this), mashed sweet potatoes, mashed potatoes, glazed carrots, and buttered corn. 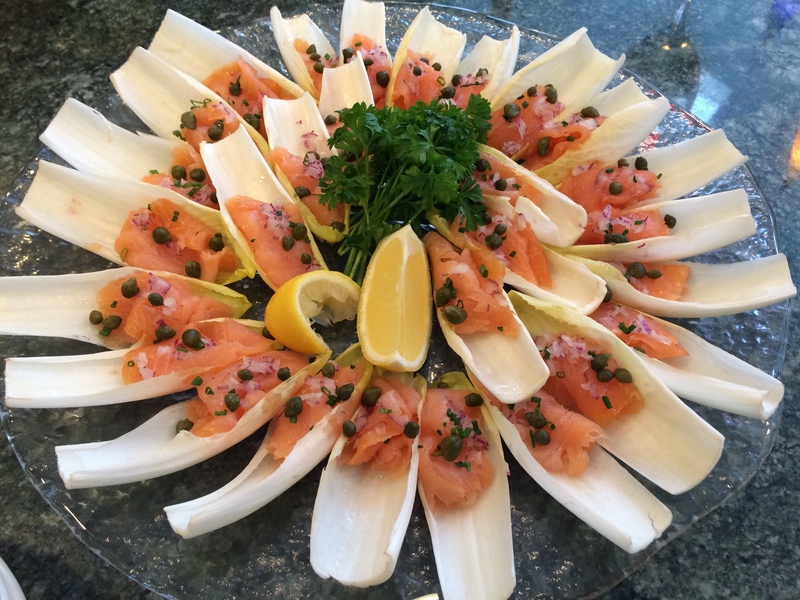 For the salad, we tried a recipe from the Bon Appetit Thanksgiving Issue Magazine – Herb Salad with Pistachios, Fennel and Horseradish. 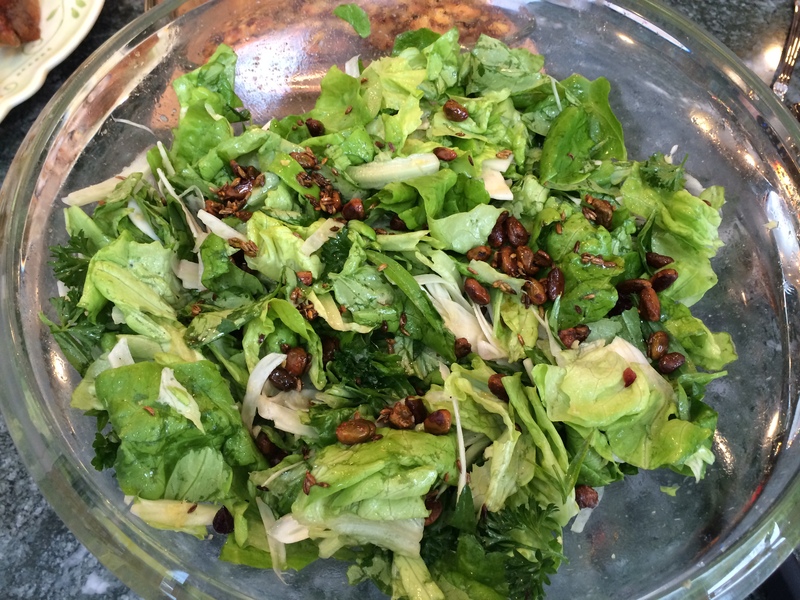 Butter lettuce, parsley, tarragon, chives, lemon, fennel, pistachios, fennel seed, horseradish. 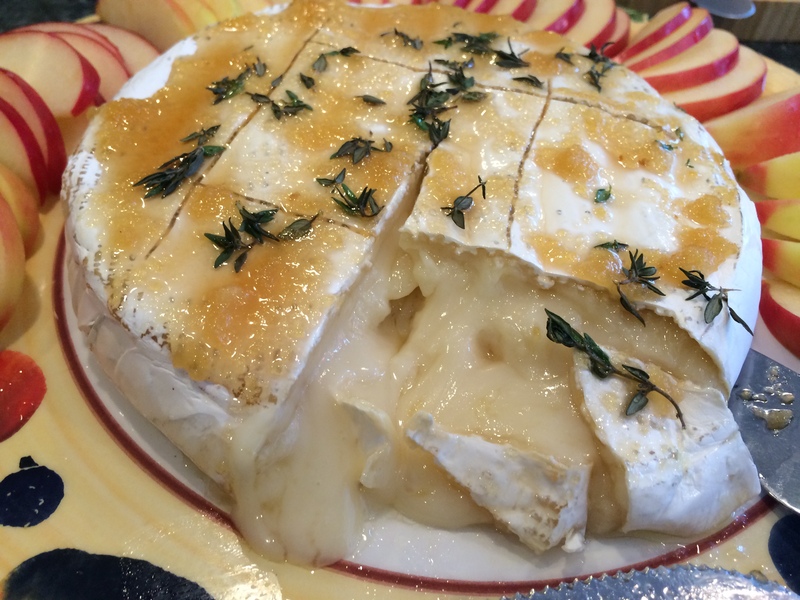 Light and refreshing, perfect for a meal that is pretty much composed of entirely comfort foods. 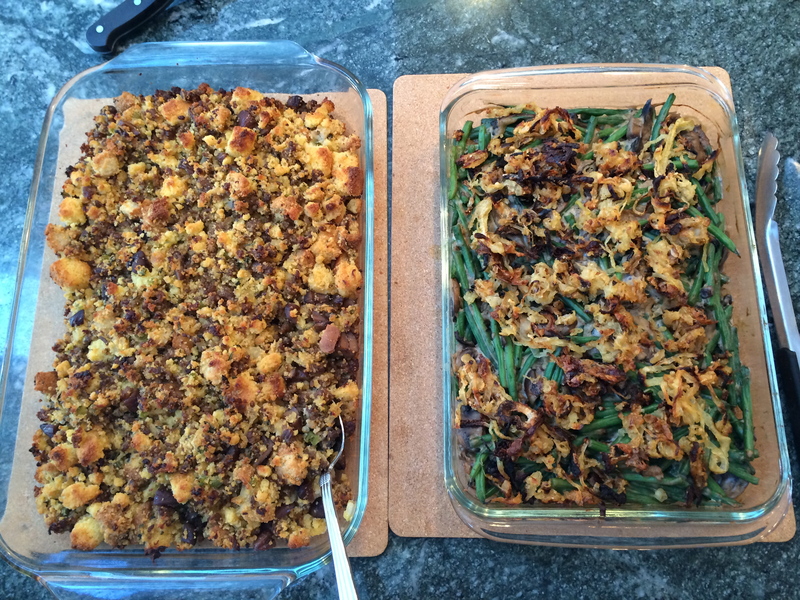 Both the stuffing and green bean casserole turned out extremely well, to both of our delight. The turkey looks pretty good, if I do say so myself. 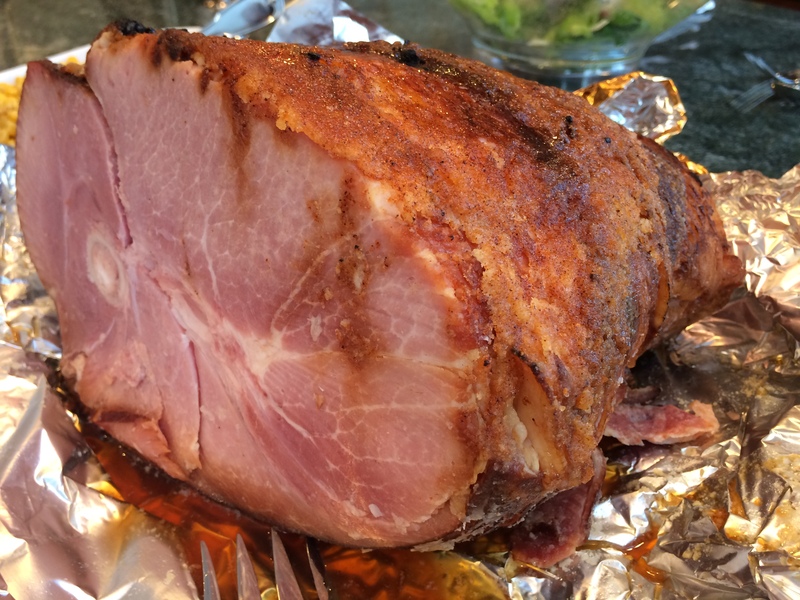 Christine’s favorite – Honey Baked Ham. 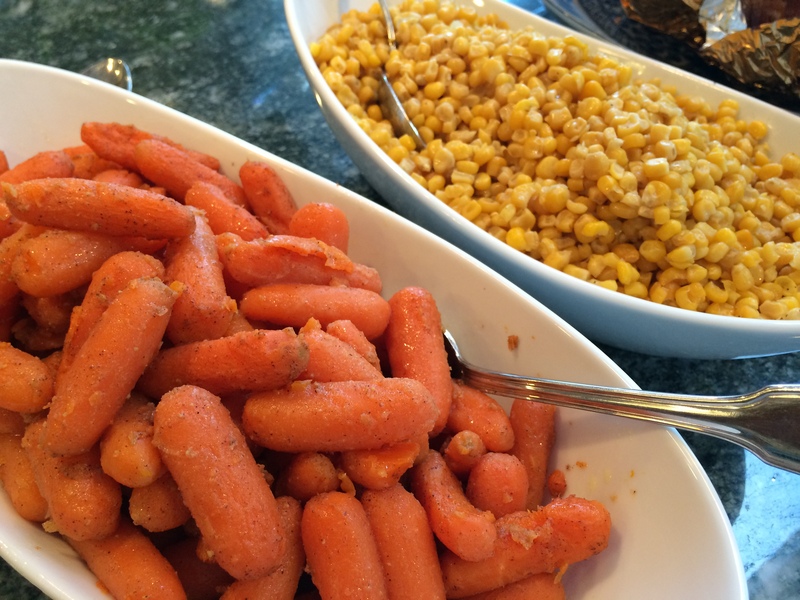 A nice close up of the glazed carrots and buttered corn. 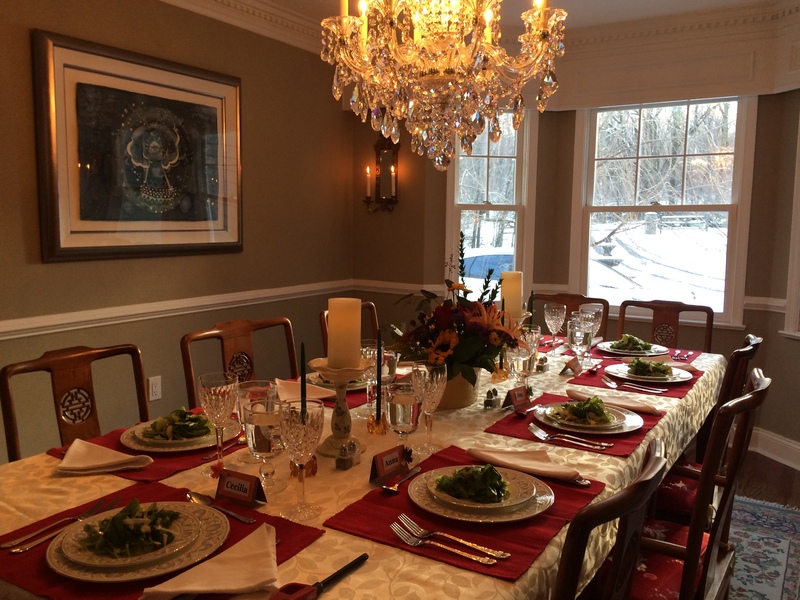 Our lovely dining table, with snow in the background and a beautiful, sparkling chandelier overhead. 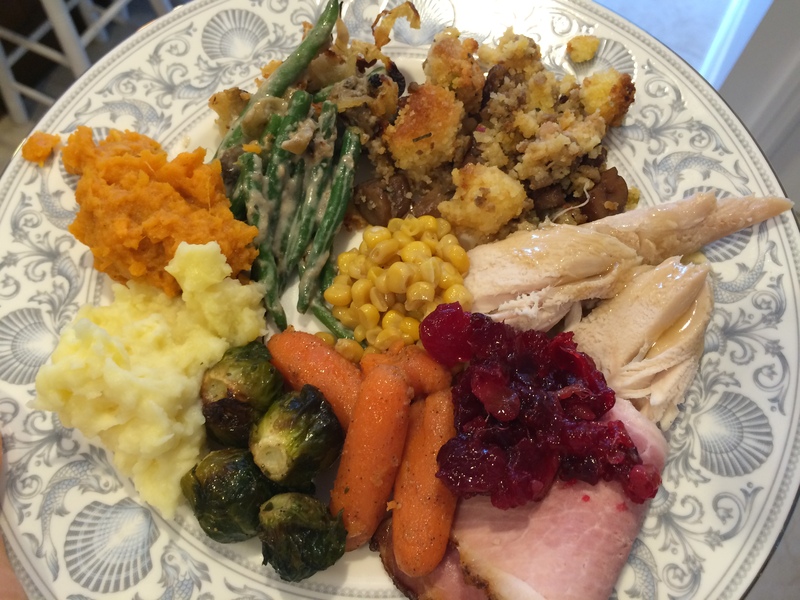 The obligatory picture of my entire plate – you can see a bit of everything. Can’t forget about the salad, wine, and champagne! 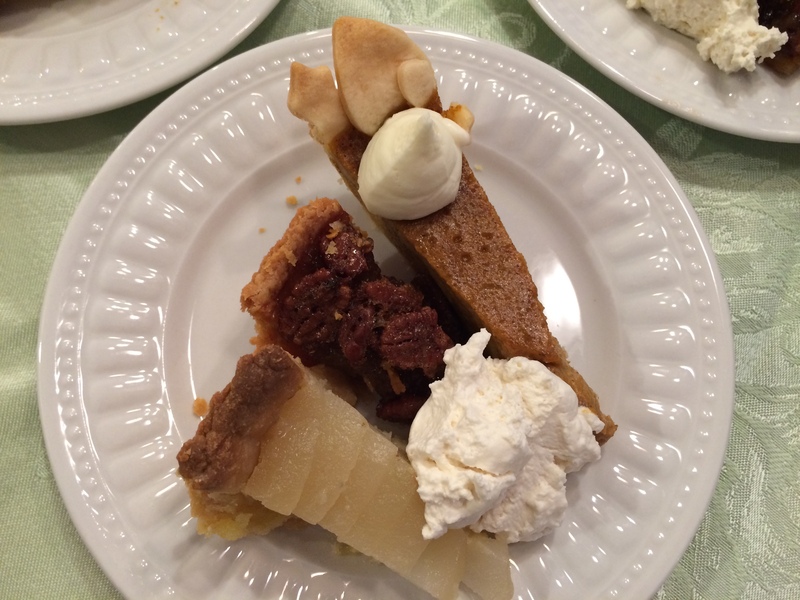 Our dessert menu featured three items – Pecan Pie from Wegmans, Pumpkin Pie, and Pear and Almond Tart. 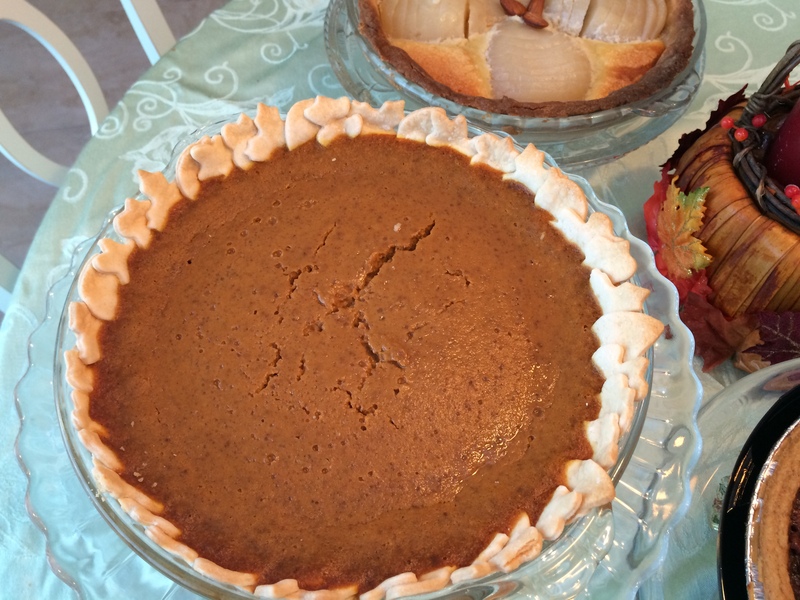 I used Bobby Flay’s Throwdown Pumpkin Pie Recipe. 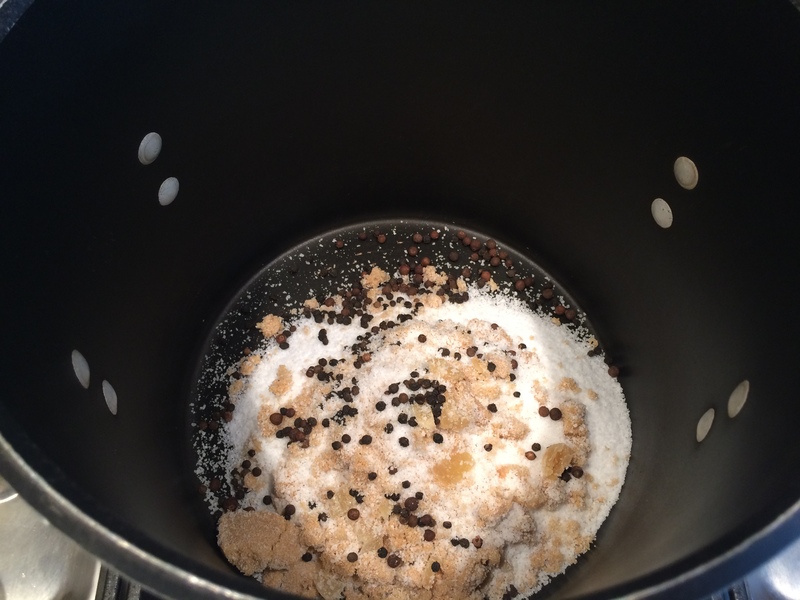 I’ve made it several times before, and it’s a very solid recipe. Although the recipe calls for a graham cracker crust, I used a normal pie crust and decorated the edges with cutouts of leaves and acorns. The pear tart turned out pretty well too!!! With a dollop of bourbon whipped cream and a swirl of mascarpone frosting . 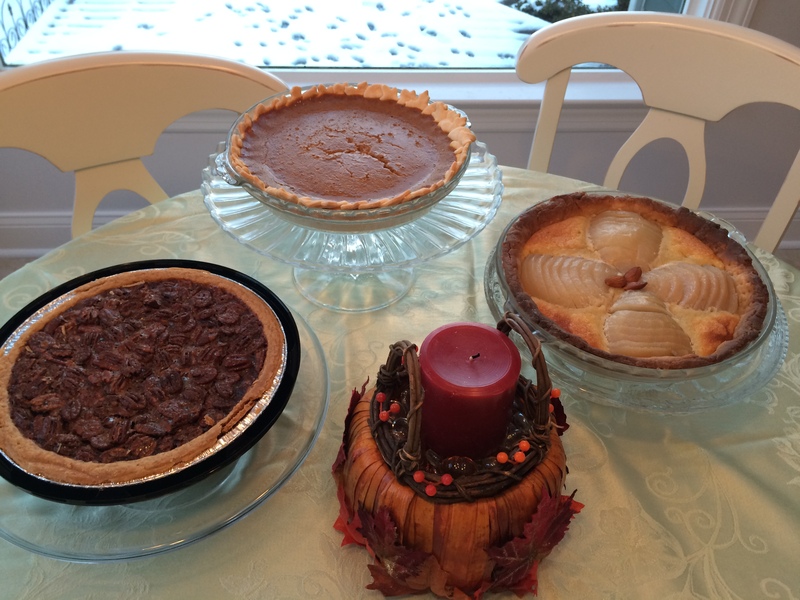 . .
A sampling of each dessert for all!